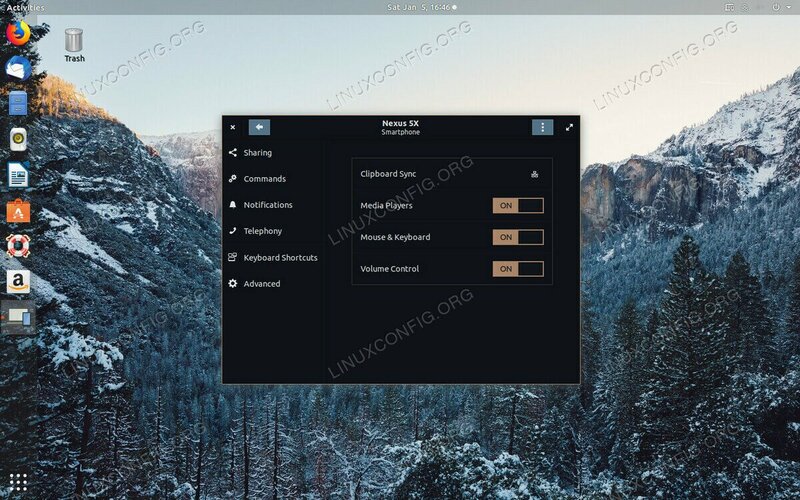 KDEConnect has become the standard for interaction between Linux PCs and Android devices. IT can handle most tasks and does so very well. For GNOME users, this usually means installing a ton of KDE dependencies on their system. It’s clunky, and it doesn’t integrate well with their desktop of choice. 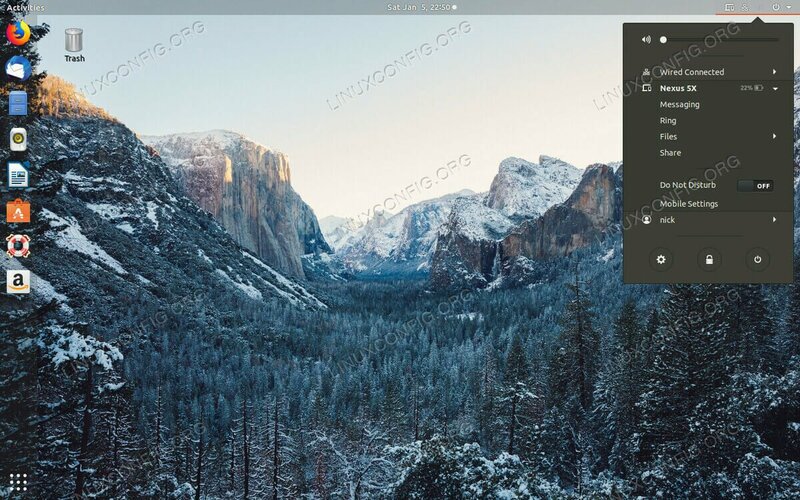 GSConnect is a GNOME client for the KDEConnect app that allows you to access all of the same functionality without loading up on KDE components. You’re going to need the KDEConnect app for Android in order to communicate with your Linux computer. 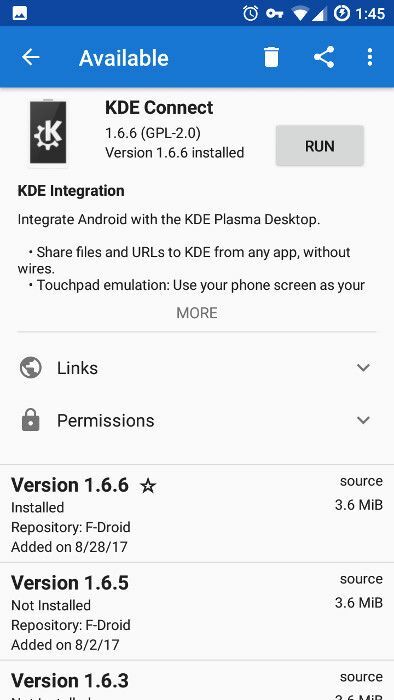 KDEConnet is an open source app that’s available from both the Google Play Store and F-Droid. Open up whichever one your prefer. Search for kdeconnect. It will be the first result in either app. Tap on it. Review the permissions for the app, and press the button to install it on your device. 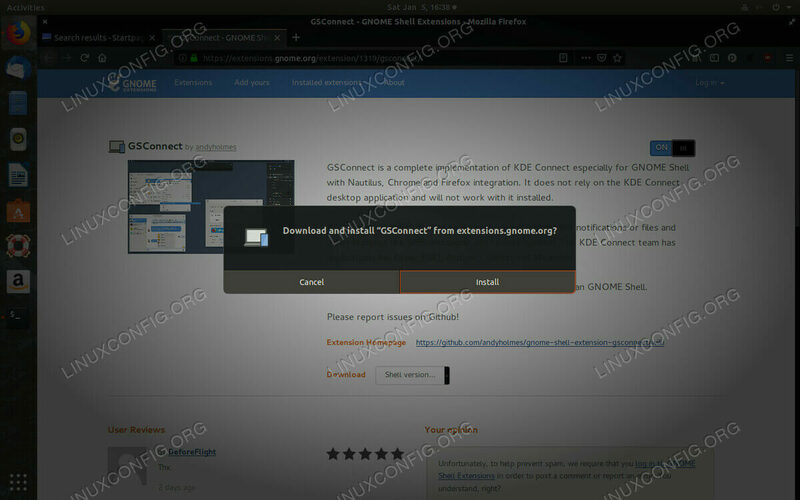 The simplest way to install GNOME extensions, like GSConnect, is to use an add-on for Firefox. Open up Firefox. Head over to the add-on page and click the big green button to “Add to Firefox.” This will download and install the GNOME Shell Integration add-on that allows you to install GNOME extensions directly through Firefox. Actually, on some distributions, you’ll need a package too. Install chrome-gnome-shell, if it’s available for your distribution. You’re ready to install GSConnect. Open Firefox, and head over to its extension page. You’ll notice a big switch towards the top right of the page. Flip it on. That will install the GSConnect GNOME extension on your computer. Right after you confirm the install, the GSConnect icon will appear in your tray, ready to use. Click on the GSConnect tray icon. A new window will open up saying that it’s searching for devices. While it’s doing that, open up KDEConnect on your Android device. Your PC should find the Android device fairly quickly and display it in the center of the window. Click on it. The screen will shift to show you information about the device. At the top of the window, you’ll see a button to pair the device. Press it. On your phone, a notification will show up from “GSConnect.” Confirm the pairing. From there, your computer will shift to reflect the phone being paired, and display the available settings for that device. 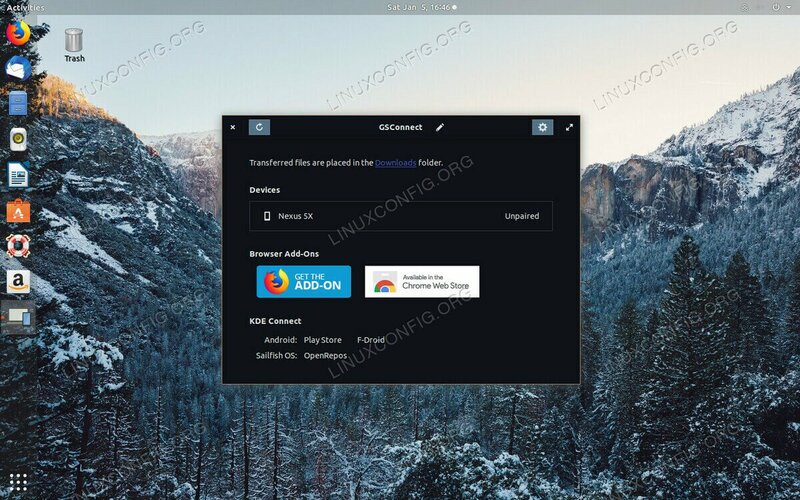 You now have all the functionality of KDEConnect on your GNOME desktop. You’ll receive notifications and text messages from your Android device and be able to respond from Linux. You’ll also be able to share between the two, sending files and links back and forth wirelessly.